Most experts agree that blockchain technology is poised to disrupt the status quo of almost every industry. So far, however, the impact of blockchain disruption has been rather limited as the resources and expertise to develop new blockchain technologies has been a major hurdle for businesses that want to adopt the blockchain. To address this issue, several leading technology companies have launched Blockchain-as-a-Service platforms that enable businesses to build blockchain solutions with the help of cloud-based blockchain architecture and technical support. A Blockchain-as-a-Service platform is a full-service cloud-based solution that enables developers, entrepreneurs, and enterprises to develop, test, and deploy blockchain applications and smart contracts that will be hosted on the BaaS platform. Moreover, the BaaS platform will provide all the necessary infrastructure and operational support to ensure that the blockchain applications run smoothly. Blockchain-as-a-Service providers are, therefore, key for large-scale blockchain adoption among businesses as they enable companies to adopt the blockchain without having to spend anywhere near as much money as they would have to if they were to develop blockchain solutions on their own. 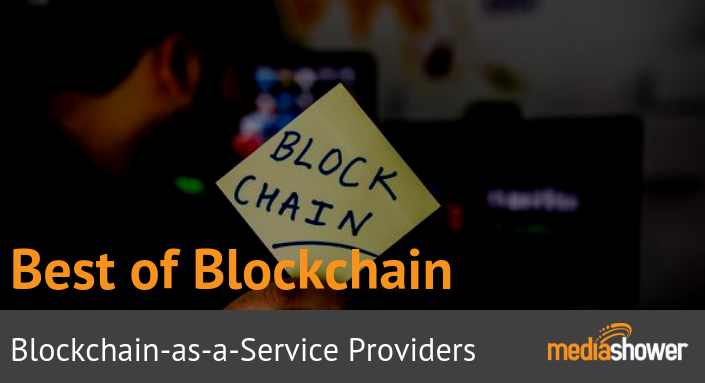 We have compiled a list of the leading Blockchain-as-a-Service providers that you can use to develop, test and deploy blockchain solutions to improve your business. As more businesses look for convenient and cost-effective ways to leverage blockchain technology, it is likely that BaaS offerings will continue to proliferate. Keeping an eye on the space can help you choose the right BaaS provider for your business needs. To learn more about what is happening in the blockchain space or to get help with your blockchain marketing project, contact us today!